It's been quite a while since Chris has been to the Sedges for a match. This time he was guest of Glenfall AC for one of their club matches. He picked Lordy up at 6.15am and proceeded to Parkway Café for a customary breakfast and then on to the Sedges. Chris drew peg 26 and just for a change Lordy drew next to him on peg 28. The weather was grey and cloudy with not a breath of wind - not the best conditions, a little ripple on the water suits the fishing better here - and it was a while before any bites came along. Chris fished shallow at 13m with as bunch of dead maggots feeding caster and soon had several bream. During the day, he managed to net just over 13lb of silvers, including a decent eel and four carp for 34lb to finish with 47lb 8oz. Lordy also managed to capture four carp but his weighed in at 21lb. His small offering of silvers which included an eel of about 3lb only gave him a total of 26lb. Chris says he's going to Ivy House next week. This is good news for Lordy - yet another venue at which Chris can show him up!! Round three at the Sedges was on the Tile Lake and Lordy, having made two first places already in the last two matches drew peg 40 which is apparently an absolute flyer! Initial attempts to attract the carp on caster fished at five metres failed completely so Lordy decided to put out a feeder full of dead maggot and micro pellet as close to the first island as possible on his Drennan Puddle Chucker carp feeder rod. This produced a carp of about 5lb and another which proceeded to break him off! It took a couple of hours for him to try paste at 5m off to his left as nothing else seemed to work. He was surprised therefore to see the float shoot away almost immediately. He hooked and landed a mirror carp of about 11lb and within minutes has a "weigher" of 12lb 4oz as well. He ended the day with 12 carp for 82lb 1oz and came second in the match and in his section thanks to Sedges owner Jamie Cook who caught in the last hour to beat him by about 10lb. Sedges Tile Lake. Peg 40 is on the other side off towards the log cabin in the background. 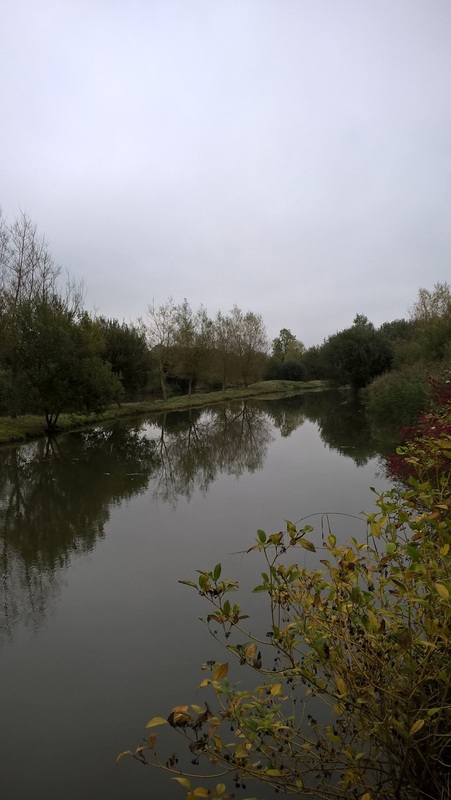 The fourth round of the league took place on Sunday 11th October back on the Canal Lake. Lordy drew peg 47 which has a very shallow far bank. Fishing double caster on a size 18 carp feeder hook with 0.13 power line and a Drennan crystal dibber float produced a perch of about 1lb within the first minute but fish were hard to find thereafter. He hooked and landed one of the small barbel and a couple of small skimmer bream before he decided to fish off to his right hand margin at about 5m. This produced a small tench (which was nice) on double caster. As he was fishing he heard one angler from the other side say he was catching on pellet. He switched immediately to a 6mm Dynamite baits Pro Expander and was rewarded with a small carp. He had to wait for the bites and found that feeding had to be very sparse or not at all but he ended up with four carp from the edge and a decent bream from the far bank to finish with 17lb 9oz. This gave him 3rd place overall but, more importantly, first place in his section. Lordy's local club is fishing Tile lake next weekend and Chris Derrick is coming along as a guest. Watch this space for his performance report! 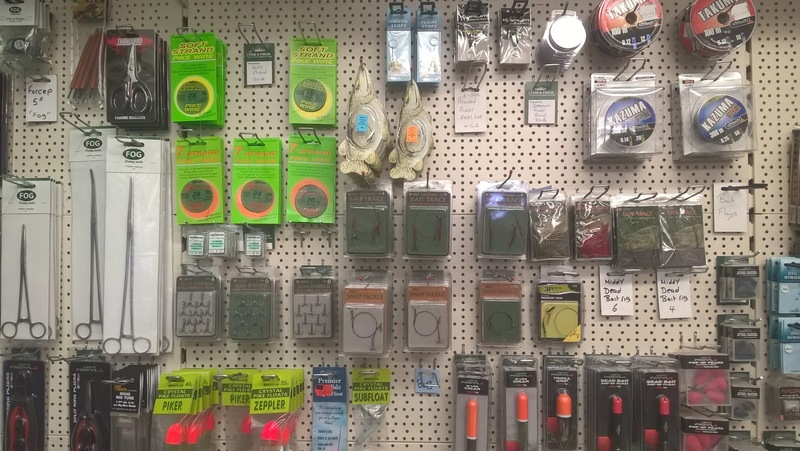 The pike fishing "season" is upon us and at Fish & Field we have everything you will need for a day's piking from deadbaits to lures. Need a new seatbox? 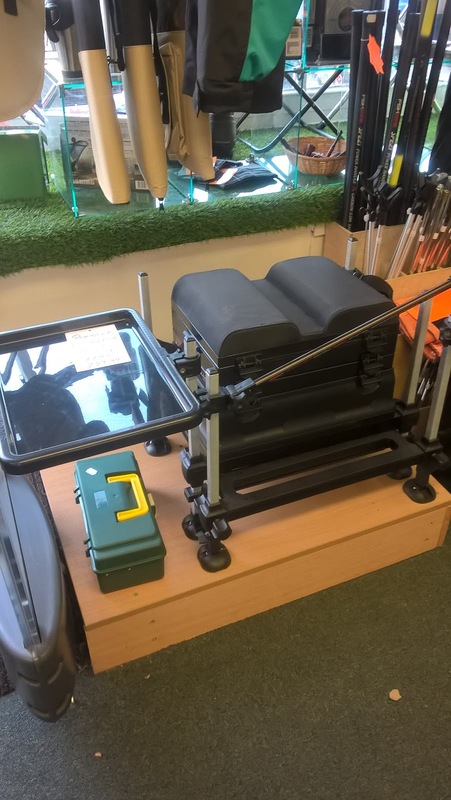 This one is a limited edition from Preston Innovation is on a deal and comes with a box full of winders for your floats, a telescopic feeder arm and keepnet attachments supplied. A real snip﻿ of a price. Come and get one now while stocks last.